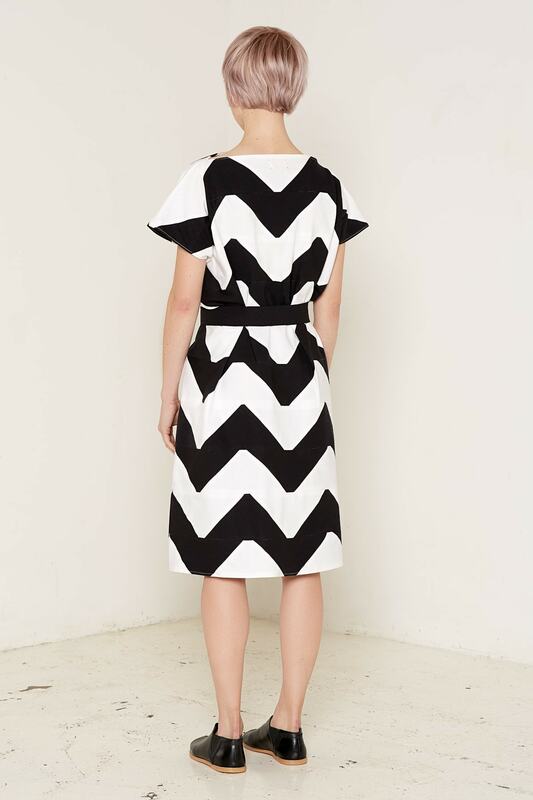 This beautiful midi dress is meticulously hand-made from 140 individual cotton triangles, which are stitched together to create a bold, contemporary pattern. The dress is made with zero waste and using certified organic cotton sourced from fair trade suppliers, making it a fantastic example of sustainable style. The Venus dress is available in one size, and it comes with a cotton belt to adjust the waistline. It is also available in two colours: a gorgeous black and white that really brings out the pattern of the dress, and a softer beige and white that looks great paired with other neutral colours. The dress is fully lined.